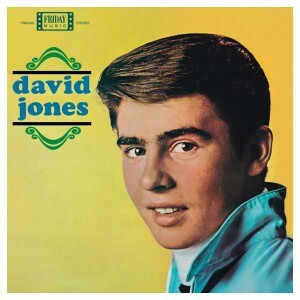 The brightest stars of the classic pop era also contributed to this album and would soon follow Davy Jones on his path to Monkeemania. Superstars like Carole King/Gerry Goffin, Barry Mann/Cynthia Weil, David Gates from Bread, Toni Wine who would later sing lead vocals on The Archies records……and Bob Dylan with It Ain’t Me Babe, which was also a hit for The Turtles that same year. Friday Music is proud to offer this fine album for the first time in fifty years! This first time 180 gram STEROPHONIC audiophile vinyl Lp is now mastered impeccably by Joe Reagoso (The Monkees), which truly shows a transition from pop crooner to future rock star, and is also a another title from our 50th Anniversary of The Monkees celebration. In 1967, the David Jones l.p. charted thanks to his rise to fame as a member of The Monkees and the album cover was cleverly featured in The Monkees TV show episode, Monkees At The Movies.